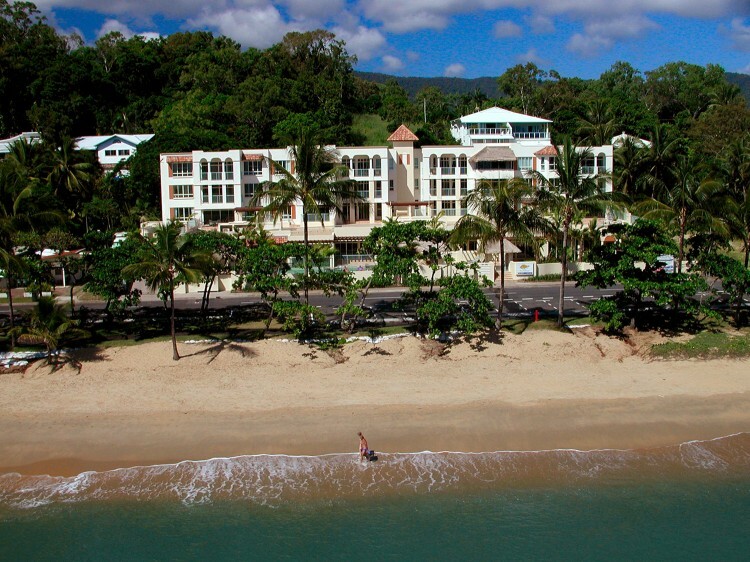 Sea Change Beachfront Apartments offers five star luxurious accommodation just 15 minutes north of Cairns and only a 10 metre walk to the white sands of Trinity Beach. 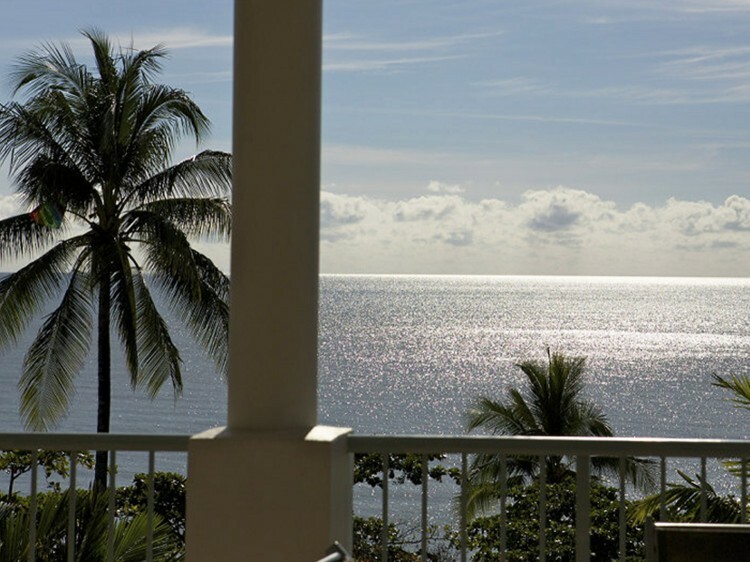 Each of the 1, 2 & 3 bedroom apartments are sumptously appointed with huge spa baths, plantation shutters and magically complimented by the stunning views of the Coral Sea from your private balcony or roof deck. 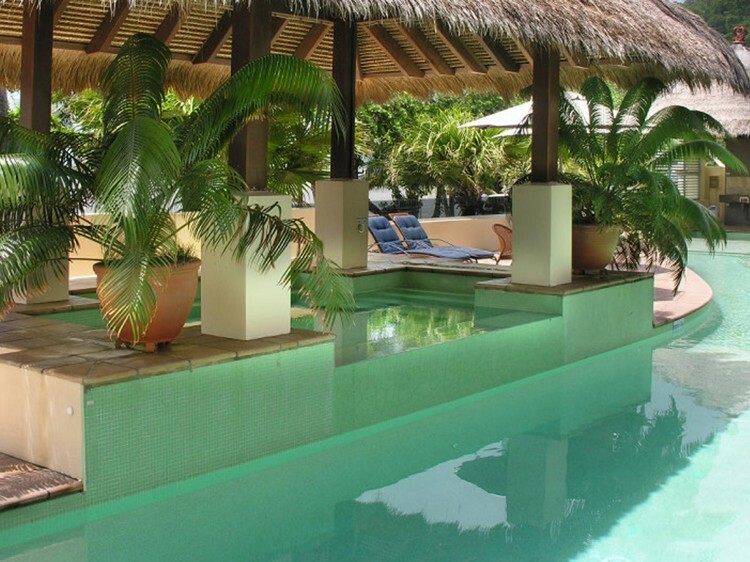 An aura of mystique is created with thatched roofs and Balinese water features together with vast Mediterranean style roof decks, resort pool and spa. Kitchens are equipped with Blanco stainless appliances and all apartments have espresso coffee machines, blenders, juicers, electric frypans, electric woks, slow cookers, the list goes on. Trinity Beach is nestled in a protected cove between World Heritage rainforests and spectacular coral reefs of the Great Barrier Reef, where you'll discover the natural beauty of a palm-fringed beach with year-round swimming, temperate ocean waters and a village atmosphere that will have you wanting to visit again and again. 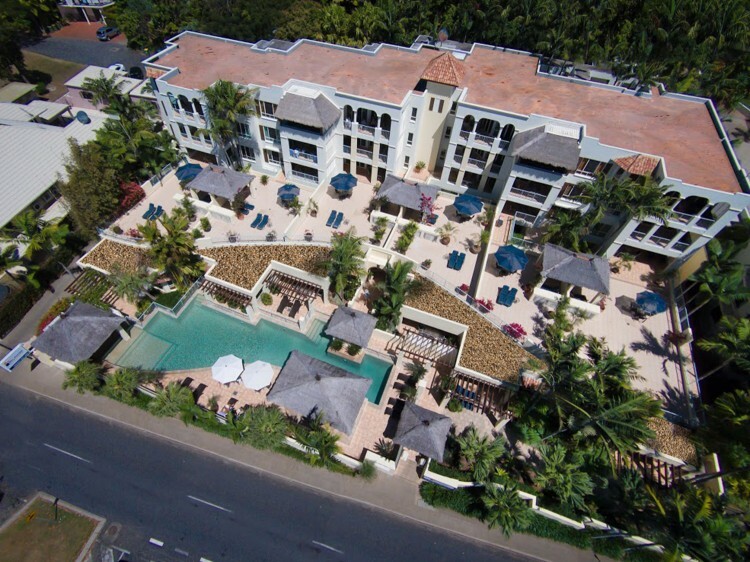 The perfect location between the reef and the rainforest where you can indulge in the local culture, activities and attractions.